I am excited to report that our Annual Installation Dinner on March 21, 2013, at the Marriott Marquis was the most successful Dinner in AABA’s history. With close to 900 attendees, attendance at this year’s Dinner was the largest ever. We raised more than $190,000, the most we have ever raised. And for the first time, a non-law firm – Facebook – was one of our largest Dinner sponsors. Notwithstanding the record-breaking success of our Dinner, how we finish a race is more important than how we start it. We face tremendous challenges. There are far fewer job opportunities for law students. There are far fewer partnership opportunities for associates. And there are far fewer opportunities for partners to reach equity status. In-house attorneys face similar challenges. Many women and minorities are still discouraged by the lack of promotional opportunities. Further, only five percent of Governor Jerry Brown’s judicial appointments in his first few years in office have been of APA descent. We are committed to tackling the issues presented by these challenges aggressively with a host of new and creative programs. With great resources, comes great responsibility. We will do everything we can to help each and every one of you reach your highest professional aspirations. We look forward to seeing you at our events this upcoming year. The AABA Law Foundation, a 501(c)3 charitable organization, was established in 1992 to provide scholarships to law students who have demonstrated a commitment to serve the Asian Pacific American community. The Foundation is made up of the following Board members: Emi Gusukuma, Miriam Kim, Eumi Lee, Christine Noma, and Billy Chan. During the AABA Annual Installation Dinner on March 21, 2013, Miriam emphasized the need to raise more scholarship funds by presenting data illustrating the significant increase in law school tuition over the last ten years. For example, in 2003, the cost of attending University of San Francisco Law School was $26,282. Today, that number is $42,364.Similarly, in-state residents attending U.C. Berkeley School of Law (Boalt Hall) paid $11,027 in 2003. Tuition and fees at Berkeley today for such residents have skyrocketed to $48,068. For out-of-state residents at Berkeley, the cost is even higher – tuition and fees have risen from $22,159 in 2003 to $52,019 today. These sobering statistics highlight the financial obstacles faced by today’s law students. In addition to the growing costs of law school tuition, many students have had difficulty securing jobs upon graduation. During his installation speech, incoming AABA President David Sohn indicated that one of his top priorities was to assist law students and new attorneys find gainful employment. 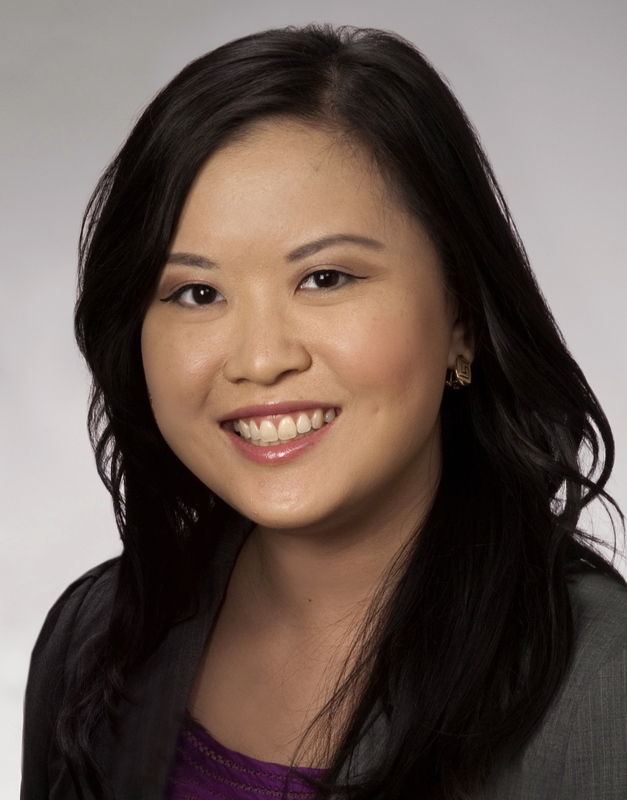 The Foundation has helped law students in this regard by funding scholarships such as the Joe Morozumi Memorial Scholarship to assist students like this year’s recipient Yunah Rha (Golden Gate University 2014) to pursue a career in public interest law. Mobilizing support for the Foundation has been led by a number of long-time AABA members including Hon. Delbert Gee of the Alameda County Superior Court and Hon. Joni Hiramoto of Contra Costa County Superior Court who agreed many years ago to ask other Asian Pacific American judges to contribute to the Foundation. To this day, Hon. Gee continues to coordinate contributions for the Foundation from his fellow state and federal judges to award the Asian Pacific American Judges’ Scholarship to a deserving law student each year. Without the support of its donors, the Foundation would be unable to continue its important work. If you would like to make tax-deductible contributions to the Foundation, please send a check (payable to the AABA Law Foundation) to: AABA Law Foundation, c/o AABA, 575 Market Street, Suite 2125, San Francisco, CA 94105. The Foundation will be setting up an on-line donation system in the near future. AABA will host the 26th Annual Summer Law Clerk Reception on Thursday, June 27, 2013, from 6:00 to 8:30 p.m. at Yank Sing Restaurant (101 Spear Street in San Francisco). Mark your calendars because the Reception is one of AABA’s most popular and entertaining events! Not only will you enjoy fantastic food and drinks in an intimate environment, but you will mingle and connect with Bay Area attorneys, summer associates, and law clerks. In addition, AABA will recognize current and former summer grant recipients for their notable contributions to community service and client advocacy. This year’s Reception is made possible by contributions from numerous APA partners and Munger, Tolles & Olson LLP, the official sponsor of the Reception and a Bay Area law firm that has been recognized for its commitment to diversity. If you are interested in contributing, it’s not too late! You may submit your contribution online by clicking the link “AABA Summer Law Clerk Reception (SPONSOR PAGE)” on June 27, 2013 on the Calendar page on AABA’s Calendar. Please submit your contribution as part of the online registration process for the Reception. I was born in Los Angeles, California but grew up in College Station, Texas. After graduating from high school, I attended Wellesley College, an all-women’s college in Wellesley, Massachusetts, where I found my voice as an Asian American woman. I then made the conscious choice to work as a litigation paralegal at Paul, Weiss, Rifkind, Wharton & Garrison in New York City for two years so I could learn what the practice of law was really like. Despite working long hours and pulling my fair share of allnighters, I still decided to apply to law school because I felt that my strengths and skills would make me a successful attorney and a law degree would allow me to pursue more fully my passion for politics and civil rights. In 2010, I graduated from Boston College Law School. While there, I did everything I could to make sure I would be in San Francisco after graduation because I wanted to be part of an active Asian American community where I could make a significant contribution. Currently, I’m a litigation associate at Low, Ball & Lynch, where I focus primarily on public entities defense. As a former member of the Community Services Committee, I helped recruit and coordinate volunteer attorneys and law students and run the AABA/APILO Volunteer Legal Clinic in Oakland, for over two years. I am currently the Co-Chair for the Women’s Committee. 1. What keeps you coming back to the clinic? Our “clients”, our volunteers, and the magic that happens when we bring them together. Every time I’m at clinic, we have a group of people that come in with problems that they can’t solve on their own. Then, there’s this other group of people that I’ve recruited — attorneys and law students who are giving up one night in their busy schedules to share their knowledge. You have no idea how magical it is to see our group of volunteers sit down with these people who have questions and provide them with advice and solutions. No matter how late the clinic runs, it’s just a great feeling to know that you’ve done your absolute best to help somebody. Not to mention, the clinic is a ton of fun, and I’ve made such great friends with the attorney and law student volunteers. How can you not go back when it’s such a great excuse to see your friends AND help your community? 2. How do you think the clinic model helps the community? Our clinic serves primarily a low-income, occasionally monolingual community. Many times, we may be the only place that they can seek legal help. While we don’t take people on as clients, we do everything we can to answer their questions and give them proper guidance — no matter what their problem. We also encourage them to come back for follow up if they have any other questions or concerns. In this way, we serve as many people as we can, but in a way that is thoughtful and consistent with what we are realistically able to do. 3. What’s your favorite food? This is so hard! I am definitely a foodie, so I don’t really have a favorite food. I just like good food. Whether it’s a hole-in-the-wall, a food truck, a Michelin-rated restaurant, as long as the food is quality, I am down for it. Having a good eating buddy is also a plus! 4. What’s your favorite movie? Why are you asking me such hard questions? Is it bad if I say Legally Blonde? 5. If you weren’t a lawyer, what would you be? A wedding planner. Although, during the NFL replacement refs debacle, I’m pretty sure I could have done a stellar job. 6. Do you have anything else you want to say? Come volunteer at the Oakland clinic! We’re so much fun! 7. What are your pet peeves? People who waste my time. Sexism and misogyny. Racism. Notre Dame football. This article profiles AABA member Ronnie Gipson who sat down with the author and discussed how he got his start in aviation, his time as an airline employee, and his current practice in aviation law. Attorney Ronnie Gipson is one of the Co-Chairs of the AABA Solo & Small Firm Committee and a partner in the firm of Higa & Gipson. He is also an Adjunct Professor of Law at Golden Gate University, where he teaches aviation law. Ronnie grew up in Austin, Texas. His house was located within a mile of the runway at the municipal airport. Because Austin is in hill country, when the planes landed on the western runway, they passed over Ronnie’s backyard. Due to the hilly terrain, the planes were very low as they flew over his house; so low in fact, that as a kid he waved at the airline pilots and . . . they waved back! That experience made a huge impression on him as a child and he has been hooked on airplanes and aviation ever since. Ronnie’s journey in aviation encompasses time as an airline employee. In high school, he worked at Southwest Airlines as a marketing intern. Later, he worked as a flight attendant for United Airlines. He continued to work for United Airlines during his 1L and 2L years of law school. After he gained some experience practicing law, he became determined to integrate aviation into his law practice. 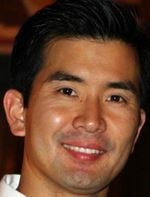 In 2010, Ronnie started his law firm with AABA member James Higa, where he began to build his aviation practice by attending aviation law seminars, joining aviation law professional organizations, and taking on larger and larger aviation law projects. As he amassed a core set of aviation law knowledge, he realized that there was a lot that he did not know. In order to gain more knowledge about the range of issues in aviation law where his knowledge was lacking, he developed an aviation law course proposal. Ronnie successfully pitched the course and he now teaches aviation law at Golden Gate University Law School as an Adjunct Professor. Now in the fourth year of practice in his firm, his aviation clients comprise 25% of the firm’s business. The big difference between his business clients and his aviation clients is that the aviation clients prefer that their lawyer is a pilot. Those in the aviation industry have an addiction for flying. Accompanying that level of commitment, aviation business owners want to send legal matters to a fellow pilot who knows the industry norms and the regulatory framework in which they operate. As a result, a pilot’s license is the price of admission to having an aviation practice. 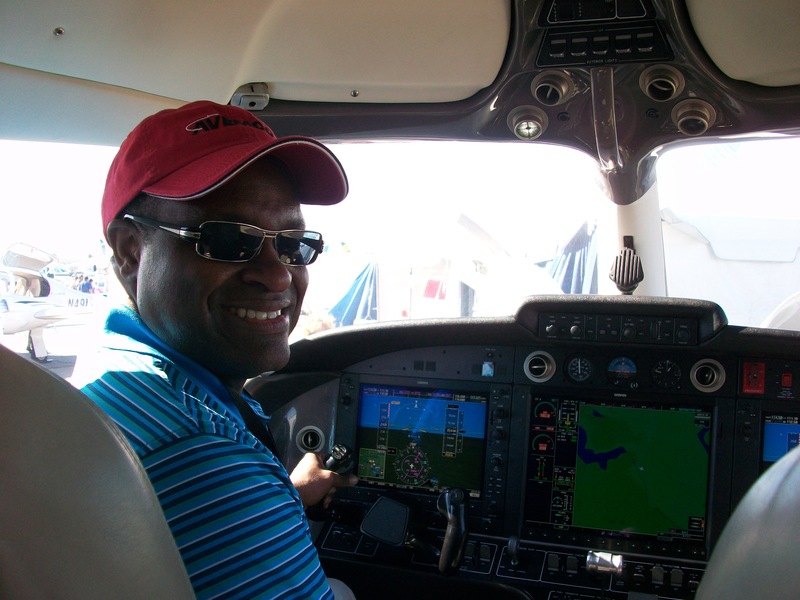 Ronnie is a pilot and has been able to channel his passion for flying into his legal career. The most popular question that Ronnie gets from people is, “What is aviation law?” Contrary to popular belief, Aviation law does not solely pertain to aircraft accidents. Aviation law consists of business law, administrative law, litigation, and regulatory work. Specifically, an aviation attorney can expect to routinely handle the following range of projects: purchase and sale of aircraft; drafting/reviewing contracts; representing pilots in enforcement actions; and advocating for or against regulations proposed by the Federal Aviation Administration (FAA) and local governments. “What does an aviation lawyer do?” An aviation lawyer handles many projects ranging from advising aviation business owners on how to operate in accordance with the Federal Aviation Regulations and local laws, to assisting with the purchase of an aircraft, to drafting contracts and providing consultation and advice. In his own practice, Ronnie derives a great sense of joy and accomplishment when he helps a client purchase the aircraft of their dreams. The next area of an aviation lawyer’s practice involves FAA enforcement proceedings. The FAA has the power to suspend or revoke a pilot’s license. The National Transportation Safety Board (NTSB) is the government agency that hears appeals by pilots who challenge the FAA’s exercise of punitive authority with respect to their pilot’s license. The NTSB holds a hearing before an Administrative Law Judge where the FAA must prove the allegations and basis for the penalty it seeks. The pilot is entitled to representation at the proceeding. As an aviation lawyer, Ronnie represents the pilot, or any other certificate holder, at the administrative law hearing to help avoid suspension or revocation of their license, which in many instances could equate to the inability to earn a livelihood. On February 12, 2009, a Colgan Air flight crashed in upstate New York killing all onboard. One of the many contributing factors to the accident was the inexperience of the crew. As a result of this crash, a law was passed that raised the experience requirements for commercial pilots. The legislation’s impact is causing a tidal wave of change. For example, effective August 1, 2013, a significant number of pilots who are currently flying for airlines will lose their jobs because they will not be able to meet the minimum experience requirements of the new law. One of the exciting aspects to Ronnie’s aviation practice is that he is helping his aviation clients bring business ideas to market to help pilots close the gap in their experience in order to be eligible for hire as commercial pilots for airlines as a direct result of the Colgan Air legislation. The issues that arise in Ronnie’s aviation law practice are truly on the cutting edge of advancements in the industry. The final segment of Ronnie’s aviation practice includes litigation, which is probably the most publicized area of aviation law. When an aircraft accident occurs, it is usually followed by civil litigation with causes of action for personal injury, wrongful death, and property damage. Given his proclivity towards pilots, Ronnie tends to focus on protecting pilots and aviation business owners in accident litigation. Currently, Ronnie is representing a client in multijurisdictional litigation in New York, Tennessee, Oregon, and California. The case arises from the death of a pilot who crashed an experimental aircraft and involves allegations of liability for the pilot’s wrongful death. This case has drawn national attention in the aviation community and is being closely watched by aviation organizations. Ronnie considers himself fortunate to have integrated his passion for flying into his professional career. He is very happy that he has found a way to energize his practice with matters that are intellectually stimulating, on the cutting edge of advancement in response to new laws, and legally challenging while serving to promote his passion for aviation. The AABA Solo and Small Firm Committee’s mission is to assist its solo and small firm attorney members by conducting seminars on business development and connecting them to prospective clients. This term, the Committee will host four seminars addressing hot-button issues facing the solo and small firm attorney. How do I get more business? The Committee’s kickoff event is a seminar titled, “Client Development 101: Building Client Relationships through Strategic Brand Management.” This hands-on interactive seminar will help solo and small firm attorneys (or any attorney who wants to build a book of business) develop practical skills and tools for branding. Presenter Marina Sarmiento Feehan, Esq., founder of Positive Counsel (www.positivecounsel.com) is an attorney coach and personal branding strategist. You’ll walk away with strategies for capturing more market share and a client development plan you’ll be excited to execute. This seminar will outline a branding strategy and demonstrate how it fits into a client development plan that includes using social media platforms such as LinkedIn, Facebook and Twitter. Additionally, you’ll learn how avoid ethical pitfalls and comply with Rule 1-400 on attorney advertising and solicitation when using social media. This interactive program will include breakout brainstorming sessions and opportunities to share insights. Immediately after the program, practice your new skills at a specially arranged networking mixer with small business owners and entrepreneurs from co-working spaces throughout San Francisco. This event is made possible through the generous sponsorship of Esquire Solutions. How do I plan for retirement? On July 25, 2013, the Committee will host “Retirement Planning for the Solo and Small Firm Attorney.” Financial Planners Ann Terranova and Anthony Gesek, of Union Financial Partners, will provide information, tips and strategies for utilizing products specially geared to the solo and small firm attorney to help successfully plan for retirement. This seminar is made possible through the generous sponsorship of PG&E and Union Financial Partners. I’m new to litigation — help? On September 18, 2013, the Committee will host “Litigation Essentials.” This CLE will focus on practical advice for motion writing and submission, particularly for those attorneys who are new to litigation practice. This seminar is made possible through the generous sponsorship of First Legal Network. How do I expand my firm? On January 15, 2014, the Committee will host “Expanding/Buying/Selling a Solo or Small Firm.” This seminar is geared towards practitioners who have been in business 5+ years and who are looking to expand their practice either by adding equity partners, selling their practice, or by purchasing a practice. Don Schwartz of Syndic Group, a business valuation company, will discuss the process for obtaining an accurate financial value for the law practice as a necessary first step in expansion planning. Mark your calendars and make time to connect with your fellow solo and small firm attorneys. We look forward to meeting you at our upcoming events! For more information, contact one of the AABA Solo & Small Firm Committee Co-Chairs, Emily Yip or Ronnie Gipson. The Solo & Small Firm Committee Listserv is a resource for developing professional connections with other solo practitioners and small firm attorneys, referring work to other attorneys, posting employment opportunities, and asking practice management/substantive questions. 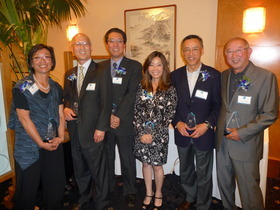 To join, please email Maggie Owyang at aaba.bayarea@gmail.com. This Listserv is accessible to paid members who are solo practitioners or work in small firms with 10 attorneys or less.